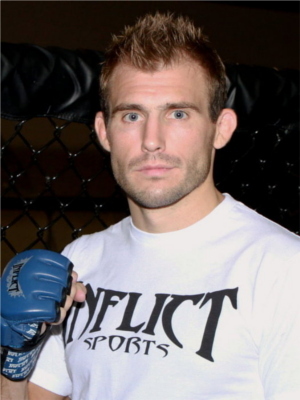 Ryan Couture is heading back to Washington, as he faces Matt Ricehouse at Strikeforce Challengers 16 this Friday. For Ryan Couture, Las Vegas is indeed a destination where lives can change. He left his job as a bank supervisor in Bellingham, Washington three years ago, and moved to Las Vegas to train for MMA full time. And it seems that the move has turned out well. This Friday, Ryan Couture will return to his old home state for a lightweight match against Matt Ricehouse at Strikeforce Challengers 16. As the son of UFC Hall of Fame inductee, Randy Couture, Ryan Couture always gets support from his audience — both as an amateur and as a professional. And while guessing that around 100 members of his family will be in attendance on Friday, he expects to get the same support his father gained during the MMA icon’s UFC 102 match against Antonio Nogueira in Washington.